Former Vice President Al Gore voiced his support Tuesday for Democratic New York Rep.-elect Alexandria Ocasio-Cortez’s plan to tackle global warming. “About to bring our 8th annual #24HoursofReality to a close with my strong support for a #GreenNewDeal, which will create jobs, invest in the right sustainable solutions & protect the health of those most vulnerable,” Gore said in a tweet referencing incoming New York Democrat’s plan. 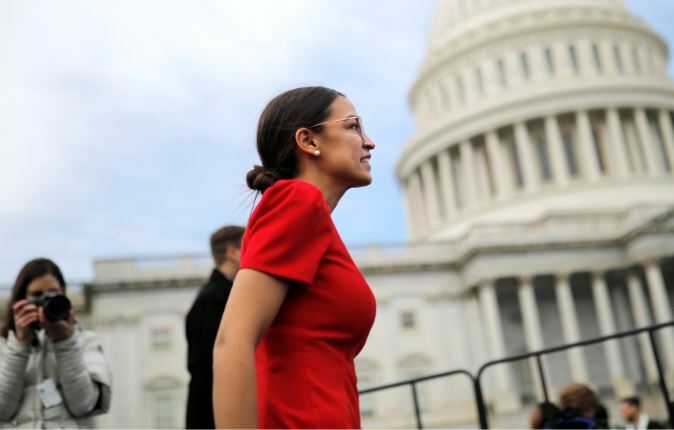 Several Democrats have joined Ocasio-Cortez’s demands for a special “Green New Deal” House committee that, if formed, would push a slew of climate change legislation. Gore’s willingness to support the plan suggests it could be gaining strong influence among her party’s more progressive wing. Environmental groups have also been pressuring lawmakers to jump on board. Their support does not guarantee the deal will see the light of day. Many of the 15 Democratic lawmakers who signed a No Fossil Fuel Money pledge in 2018 refusing donations from energy companies have their own cash invested in coal and oil. Ditching personal assets was not a requirement for those who signed the pledge. Reports show Lee has stakes in some fossil fuel companies, while Khanna has major financial ties to the oil industry through his wife, Ritu, who has millions of dollars invested in companies such as Chevron Corp. and Exxon Mobil. Khanna acknowledged the investments but said it’s still important for the Democratic National Committee to oppose industry cash.